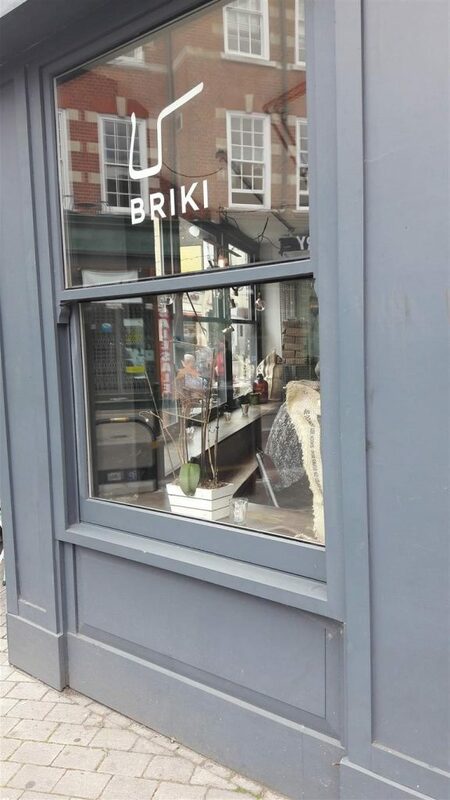 Briki takes its place at one end of Exmouth Market. 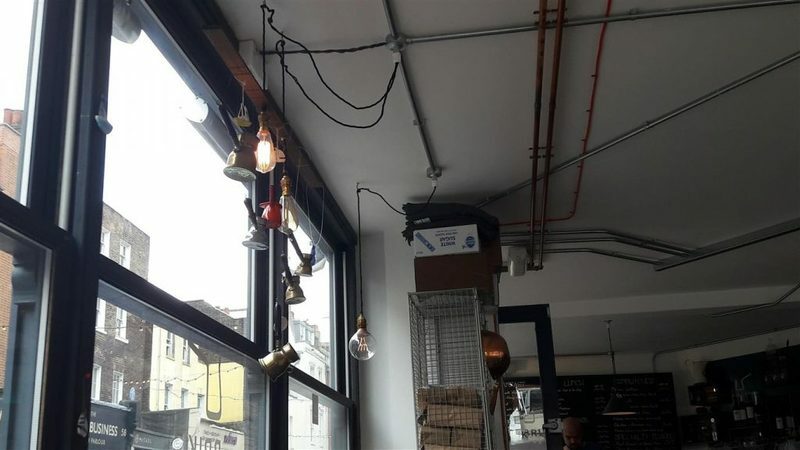 It specialises in Ethiopian Taf coffee as well as a Mediterranean inspired menu. 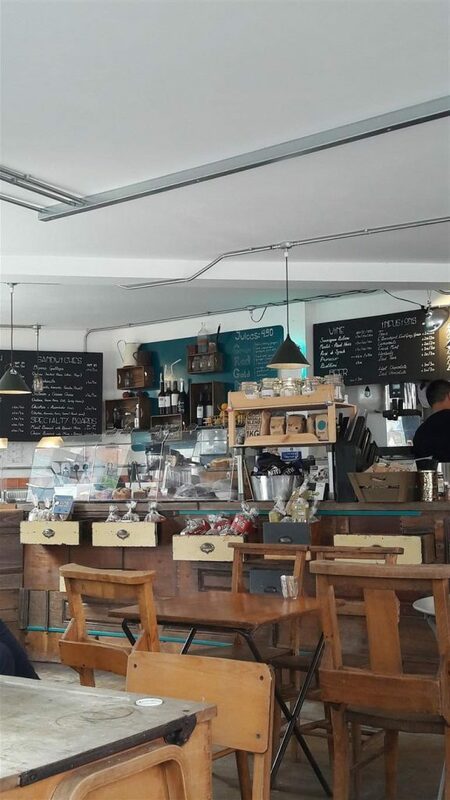 Briki serves an all day menu including breakfast, lunch specials, sandwiches and loaf cakes. 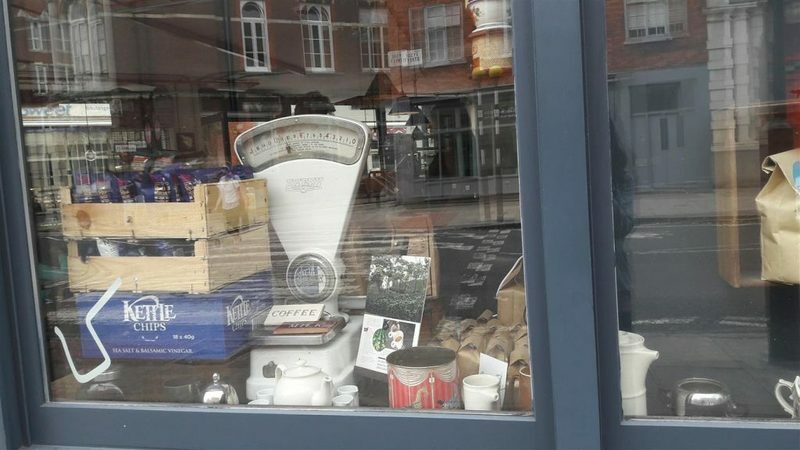 It is always good to see that all the food is covered and behind the counter glass front. 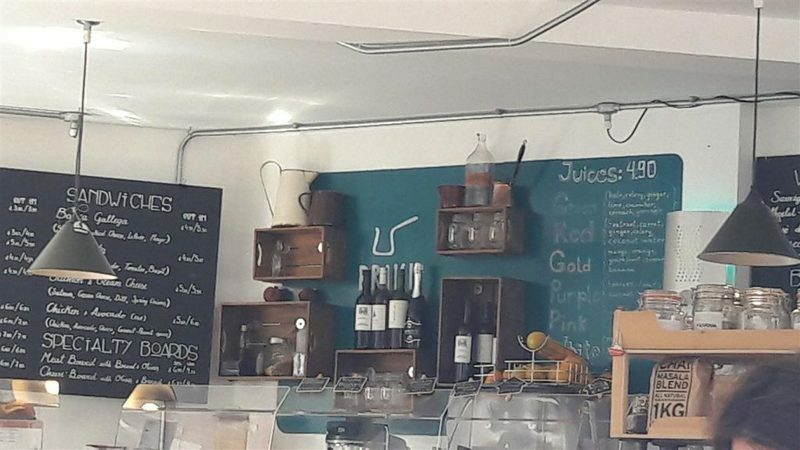 For drinks, there are also teas, juices and wine on offer. The weekend late morning at Briki started off with a flat white decaf coffee made with soya milk. 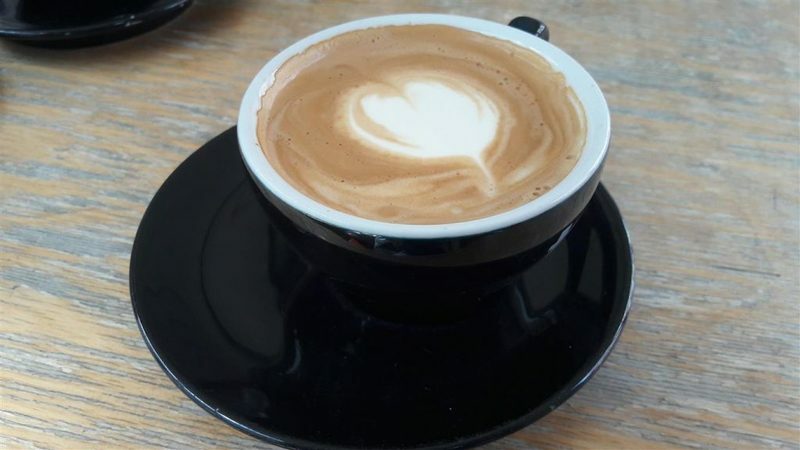 It was a smooth rich creamy coffee served in a black cup and saucer. There were quite a few cakes to choose from and the one that my friend chose was the coffee banana cake. 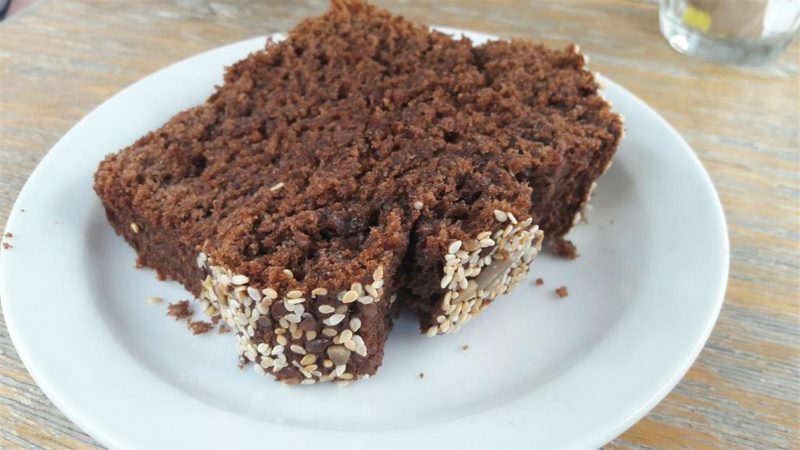 A good combination of the added coffee to a classic banana cake. It was a pretty fair portion. Briki has a relaxed atmosphere with gentle music in the background. Even though it was busy, it wasn’t a noisy cafe. The decor is minimal with exposed lighting and lots of light due to the big windows on both sides. 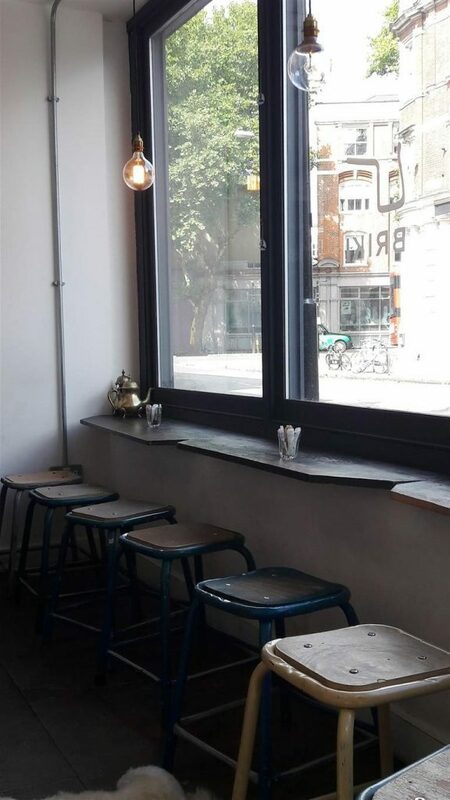 The interior is decked out in the old school style wooden tables and chairs with some stool window seats available too. There is also some seating outdoors. The service at Briki was okay but maybe slightly slower than we would have expected from the ordering time to the drinks being brought over to us. Saying that, we were not rushed and had time to have a proper catch up without being pressurised to leave. Briki is also a dog friendly place and you may see yourself stepping over some resting dogs whilst getting to your table.